From September 5th to November 9th, 20 – 1 hour after school sessions, Mitchell will provide the room # and times. The 2017-2018 school year is starting up again and so are Spanish Institute’s Before and After School Spanish classes for elementary kids! Our teachers are excited to be teaching classes at Mitchell Elementary in Jeffco! Our classes kids learn Spanish in a fun and interactive way through games and songs. We believe that by engaging kids this way they will be more apt to remembering vocabulary learned and will really want to come to class to learn. In a world that is becoming more and more globalized, learning a second language at a young age will arm your child with an invaluable skill that acts as a bridge to the rest of the world. Studies show that bilingual children are overall better at communication than their non-bilingual peers. Knowledge of multiple languages also makes them better listeners. And while some Spanish language programs try to fit as much information into as little time as possible, the Spanish Institute focuses on the skills of each individual student to give them the best learning experience possible. This is what helps our student retain high levels of attendance and satisfaction from the course. See if your child’s school already has a program set up or contact us about starting one. Registration is through Spanish Institute. For any other questions contact us at info@spanish-institute.org. 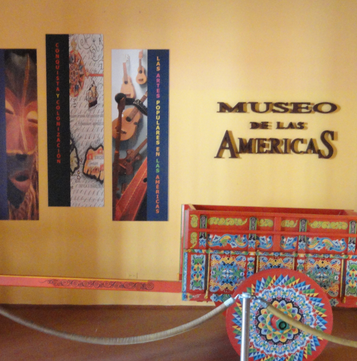 Learn Latin American Culture, Art and History in Denver!